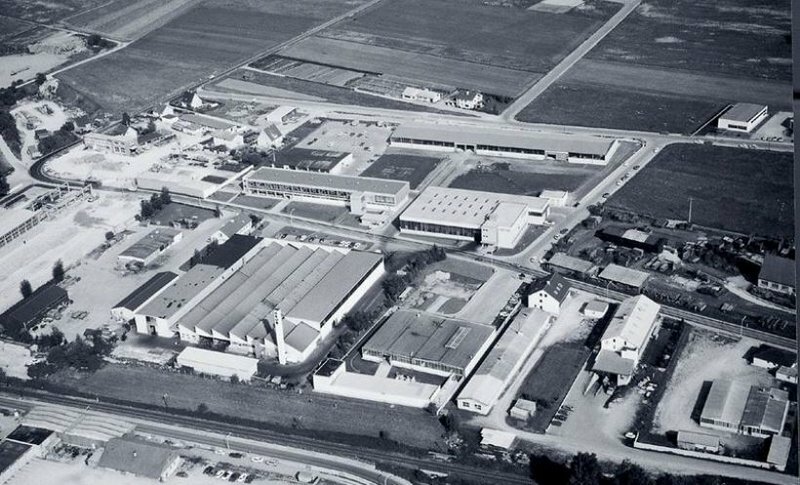 Following the purchase of a 1,500 m² production hall from the company Stetter in Mindelheim, in 1967, and a short, intensive renovation and investment phase, the green light was given for production to start at the third GROB plant in Mindelheim in 1968. The site was originally developed as a supplier plant to the headquarters in Munich. At the time, no one could have predicted just how exemplary and successful this new plant would become – not just for the company but for the region as a whole. Mindelheim. Munich. The end of the 1960s. The German mechanical engineering sector was expanding, fueled by demand for special machine tools. Due to the strong reputation of GROB products, the company soon outgrew the GROB plant in Munich. In Munich itself, however, there was no space for expansion. As a result, Burkhart Grob purchased a 1,500 m² production hall in Mindelheim from the company Stetter in 1967. Despite concerns about establishing a site in the more remote Unterallgäu region, Burkhart Grob did not change his mind. He believed that the location provided the best conditions for further expansion. Production and some aspects of design started in 1968 with around 100 employees and 30 apprentices. Further investments were made immediately after purchasing the industrial site in Mindelheim, ultimately turning the supplier plant for the headquarters in Munich into the GROB parent plant in Mindelheim. During the 1990s, the total floor space increased to almost 80,000 m² and Burkhart Grob was given the honorary title of GROBAZ by employees, which translates into “the greatest builder of all time”. Today, fifty years after its establishment, the plant's floor space has grown by a factor of 100 to 150,000 m². The number of employees at the site has followed a similar trajectory, growing from the original 100 at the time the plant was established to over 1,900 at the turn of the century. Today, more than 4,500 employees work at the Mindelheim site.